INSIDER/Kristen GriffinIt’s easy and beautiful. 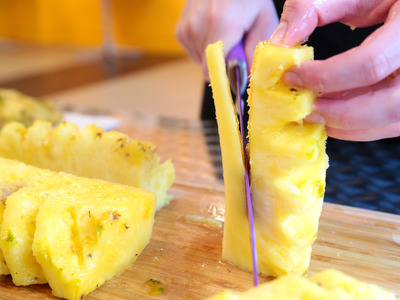 Pineapple is a strange fruit. 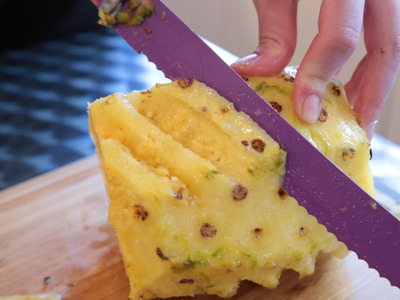 With its spiky exterior, inedible core, and unappetizing eyes, it’s easy to waste a lot of the tropical treat while cutting it. 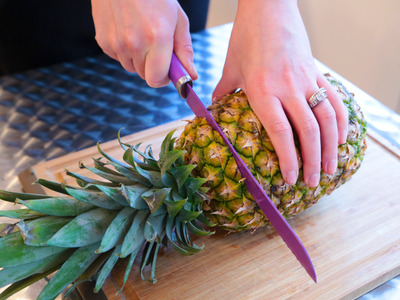 However, we’ve found a way to maximise the meat, without resorting to purchasing pre cut pineapple at the store. This spiraling method is easy to master, and the result is nothing short of beautiful. Trim the top and bottom off. 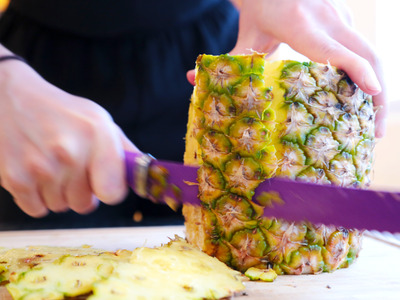 Place the fruit on its bottom. 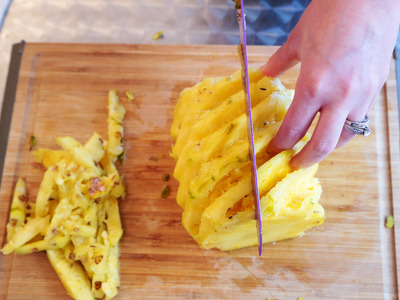 Following the natural curve of the pineapple, slice the skin off as thinly as possible. 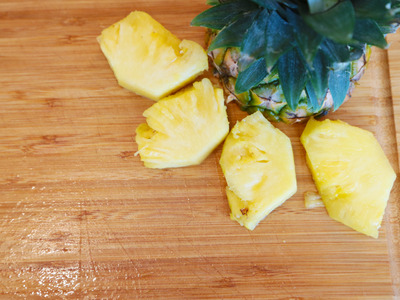 Identify the pattern of the pineapple's eyes. At an angle, cut them out by following the direction of their pattern. Make sure not to cut in too deep or trim out too many eyes at once. 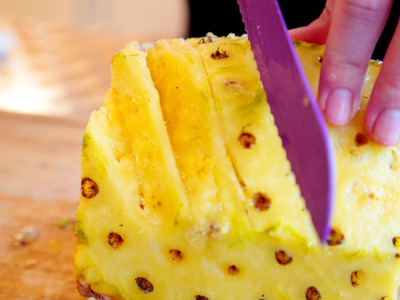 Once the eyes have all been cut away, place the remaining body of fruit on its end and slice into four equal sections, cutting through the core. 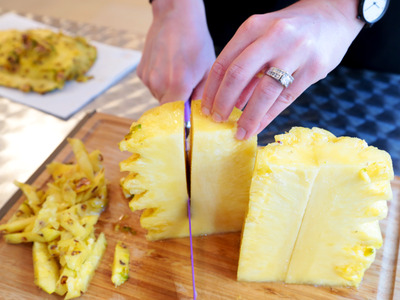 Then, cut out the core at an angle. 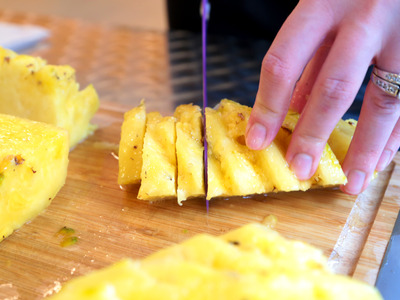 Place the remaining spiraled spear on its side and slice into uniform chunks.